In many decades of making fruit tarts, I have tried recipe after recipe, technique after technique, for making the perfect crust. I adored Tucci’s fruit tarts, so he shared this recipe with me one morning as we were leaving Annecy and I was already pining for my tarts. Now it’s my go-to crust recipe. 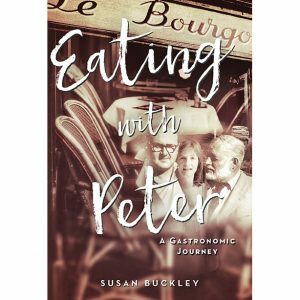 Excerpted from Eating with Peter by Susan Buckley. Published by Arcade Publishing. Copyright © 2018 by Susan Washburn Buckley. Mix cold sliced butter, sugar, and egg. Cut this mixture into the flour. Add a pinch of salt if you are using unsalted butter. I pinch some of the pastry together to see if it needs any more moisture. It should hold together smoothly. If it is too dry, add a tablespoon or two of ice water, stirring with a fork. Test again and add a wee bit more water as needed. Form into three flat circles, like thick pancakes. Wrap in plastic wrap and refrigerate for several hours before rolling out. This recipe makes three crusts. You can freeze the extra for a month or so, and it will still be excellent.